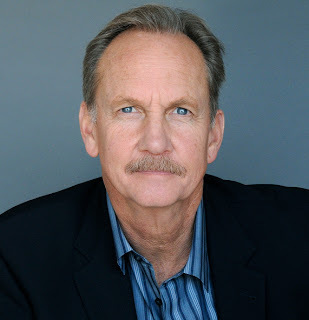 Character actor Michael O’Neill is one of those actors I just love to interview. While he certainly knows his way around Hollywood — he’s been in countless daytime and nighttime dramas, comedies and feature films — he still maintains such an affable and approachable manner that I felt like I was talking to an old friend from the moment we began our interview. I spoke with Michael about his latest project, the Sundance Channel’s original drama series called “Rectify,” which airs Monday nights at 10 p.m. ET/PT. The action takes place in a small town in Georgia, where one of its residents (Daniel Holden) has just been released from prison after spending 19 years on death row for a crime he didn’t commit. Michael plays Sen. Roland Faulkes, who was the prosecuting attorney at the time who sent Holden to prison. Celebrity Extra: What can you tell me about the show, in general? From what I’ve read, I really like the premise of the show. Michael O’Neill: This is what happens to a community, particularly a small community, when prison comes to them. This young man has grown up in prison, and it’s all he’s known for the past 20 years. So when he comes out, it’s a huge stone on the water of this little community. You live in Florida, so you know the little towns of the South. The magnolias bloom, and the dogwoods are out at Easter, and the jonquils come up, but there is also this kind of decay underneath it all that we turn a blind eye to. But you just can’t; you simply can’t. I grew up in the South. I grew up in and among those towns, and there’s a real connectivity. There’s a sense that everybody knows your business. There’s a rhythm to it, and the rhythm of prison is very different. And it unsettles it. CE: Tell me about your character, a man who basically made his career on a prosecution that ended up being unjust. MO: Oh, yes, you know, it’s not uncommon. It’s interesting what ambition will do. It always has its own agenda. When I think about that character 20 years ago, I wonder if he realized where his ambition would take him or that he was even that ruthless. There’s always a gray area. CE: What kind of a man is he? I’m guessing he started out thinking he was doing the right thing for his town. MO: It’s funny, because what you’re talking about is sort of the same thing I’ve struggled with. On the one hand, it’s so delicious to play a guy who’s Machiavellian, and you want to make him more evil, more manipulative. But I don’t think that that’s true to his character. I do think that when opportunity arose 20 years earlier, it was compelling. But I do think he feels like he’s been a public servant. He answers to the people. He felt the pulse of the town and what they wanted. They wanted a retribution for the act, so he went about making sure that they were satisfied. There’s a certain hunger in him to be the top dog, to be able to do the things he wants to do. He knows how to glad-hand, and at the same time, I think there’s a little contempt in him about the fact that they aren’t quite up to his speed. Not unlike a lot of politicians today. They might intend one thing, but at the end of the day, there’s a certain self-serving that takes over. CE: Just looking at the cast list of “Rectify,” you’ve got a bunch of heavy-hitters working with you: Hal Holbrook, Abigail Spencer and Aden Young, to name a few. MO: Yeah, you’re talking about some pretty seasoned people there. Young or old, they’re seasoned. They’ve been around the block enough to know what gets them going. And they were all compelled by these characters. They felt like they were in opportunity land. They were getting to do something that just was very rare. Abigail and I had conversations about it — she’s as hot as a $2 pistol right now — and she adores her character, Amantha. She’s exploring something that she doesn’t usually get to explore. I’ve watched Aden work a lot, and as contained as he is, you feel like the fuse has been lit. Like there’s an explosion happening inside that’s been muffled underneath a can. And Hal, of course, he’s incomparable. There’s nobody like Hal Holbrook. I’ve known him for a number of years, and he’s sort of the gold standard in the character-actor world. When people are around us, I say: “Just pay attention. You’ll see how to work from him.” Even when he’s not shooting, he’s continually exploring. He’s not on his cell phone texting anybody; he’s in that script. He’s in exploration. CE: Let’s talk about your fan-favorite role on “West Wing.” You were originally supposed to be on for one episode, but they loved you so much, they stretched that role to six seasons. MO: Thanks; I appreciate your saying that. At that time, we were broke. I had three children. My wife had had twins a matter of weeks before, and I hadn’t worked in a while. I’m thinking: “This is a great show. I don’t want to burn it on one day.” But I went in and the script supervisor came over to me and said: “They like you upstairs. You’ll be back,” And I’m thinking: “Yeah, sure, right. Thanks a lot.” And then they did invite me back. They came up with some great stuff, particularly when Aaron Sorkin was there. I still have Secret Service guys who reach out from time to time. I think they appreciated that there was a little reveal about who they are and how they do what they do. I certainly have a great appreciation for them. They were very helpful to me through that journey. CE: You played an integral multi-episode role on “Grey’s Anatomy” as distraught widower Gary Clark. Tell me about that experience. MO: I think one of the reasons (creator/executive producer/writer) Shonda (Rhimes) offered me that role was probably because of that Butterfield character, that archetype of a man who solves problems. Because Gary Clark was the absolute end of the spectrum, just the inability to deal with the loss of his wife and becoming untethered from everyone. Working on “Grey’s” was an extraordinary period of time. It breaks my heart every time I see a similar situation come up in the news. I think one of the things Shonda was saying with that story line is that he wasn’t dealt with well. Somebody needed to help him process out if he could. But maybe he was incapable of it. That was probably the most difficult work I’ve ever had to do. CE: Personally, I think you’d be a perfect fit for Shonda’s newer series, “Scandal.” We need to put that bug in her ear.